The 2014 Season will kick off on March 29 at Long Bridge #1 in Crystal City, Arlington VA. The Open Day session will begin at 9am and run through to 10.30am. The session is free for boys and girls aged 5 to 15. Note that Long Bridge is an all-weather turf field. 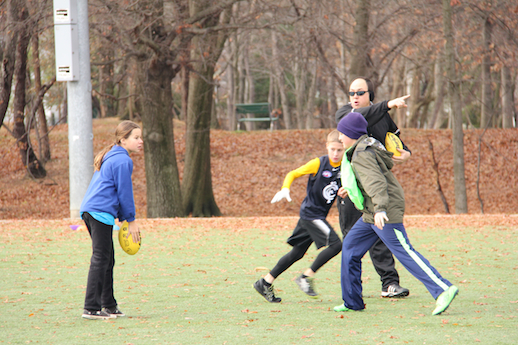 Come out and try the great game of Australian football at the 2014 SMF Open Day! The session will include fun games and activities for the U9s that teach the skills and rules of Australian football. The session will finish with a non-contact game. The U15s will work on improving skills including hand-ball, kicking and team work. The players will split up to play a non-contact game. It is that time of year again… No, not that! Coach Chris was checking equipment and running all about. Mrs. Deena was excited to see who would be there. While visions of Speckies danced in their heads. 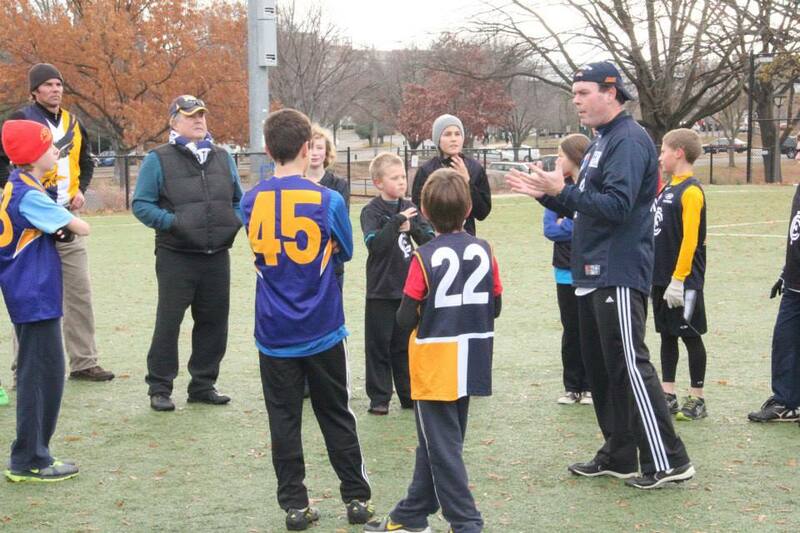 The 2013 SMF Winter Camp is Saturday December 7 at 9.30am at Virginia Highlands field near Pentagon City. Remember to rug up as it will be on on the cool side. Also remember that the 2013 AGM will follow at 11.30am at a local eating and drinking establishment.